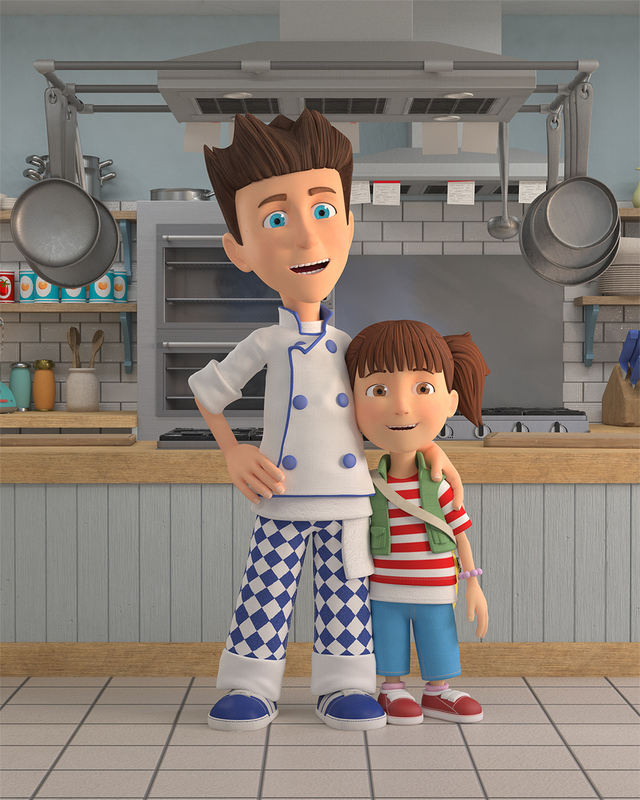 Shane, an ambitious, energetic chef and his young daughter Izzy run a restaurant in the town of Munchington. Every day is a recipe for adventure for Shane and Izzy and each episode will focus on his high energy exploits and passion for food – whether it’s trying to build the biggest baguette for the world record, finding wild herbs in the woods or growing large vegetables for the village county fair. Shane’s firm belief is that, when it comes to food, “fresh is best”. Because he’s a chef, the series naturally has food at its core and therefore encourages greater food knowledge with our audience. Shane is the chef that preschoolers can call their own! Shane The Chef © 2016 Hoho Entertainment Ltd.